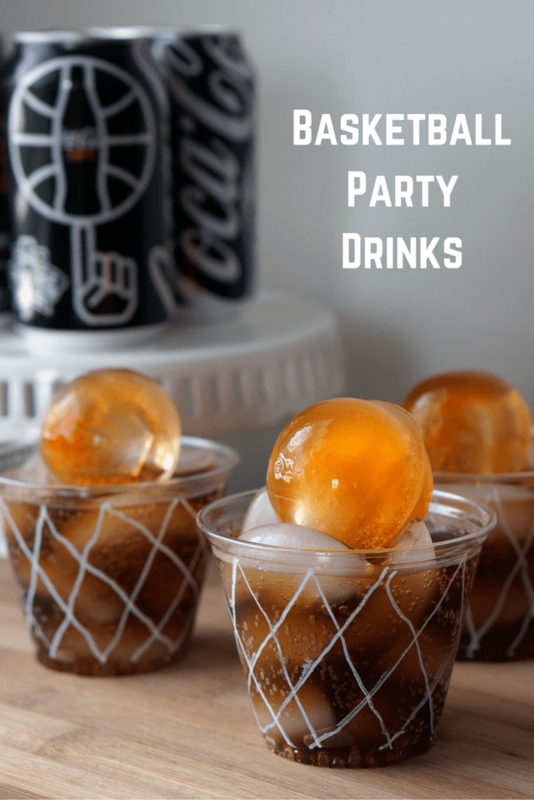 Now that the Big Tournament is in full swing, cue the basketball themed parties! Although the odds of picking the perfect bracket are 1 in 128 billion (can you believe that! ), it’s time that we all put on our favorite team’s jersey and count down to the championship. 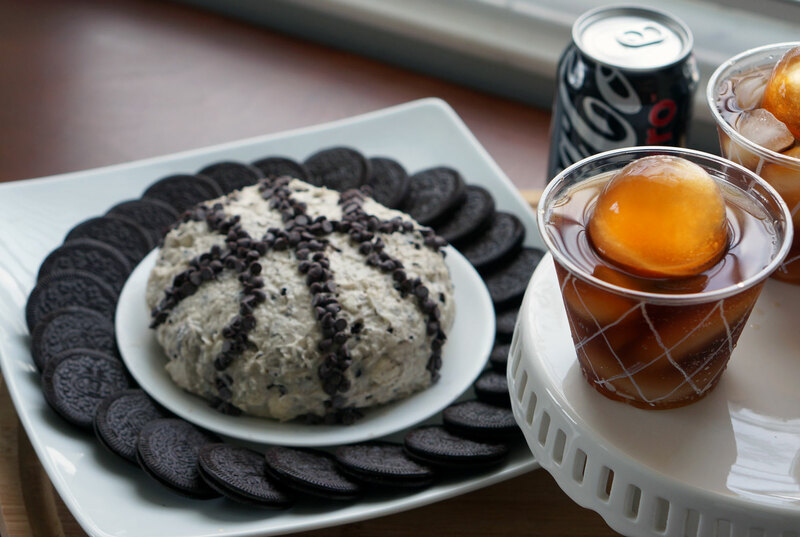 This year I decided to create some fun basketball themed snack creations to celebrate! I found these awesome basketball themed Coke Zero cans at Albertsons. 1. 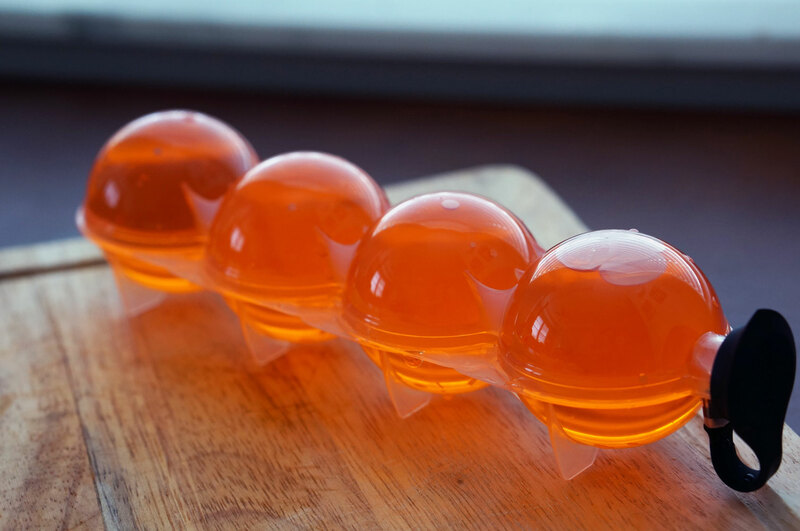 Mix your food coloring in water and add the water to your sphere ice mold. Let freeze for at least 4 hours. 2. 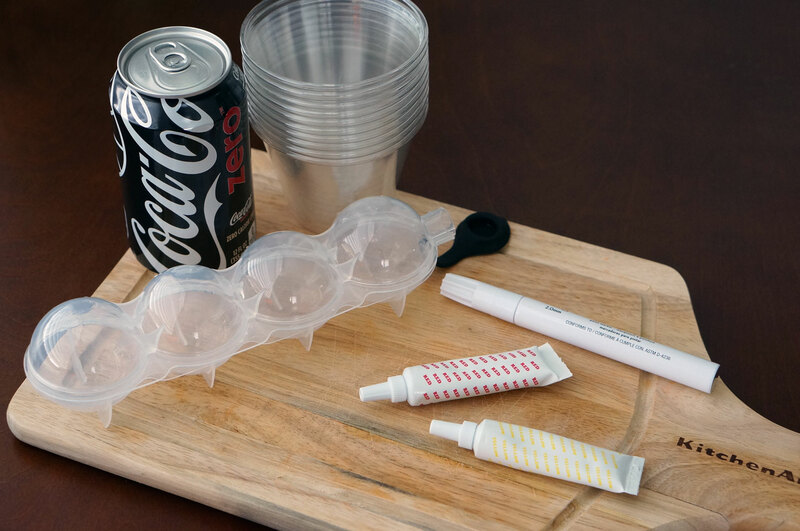 In the meantime, use your paint pen to draw “nets” on your plastic cups. This was a little tricky to get the lines straight, but I realized that it looked even more like a net when the lines weren’t perfect. 3. 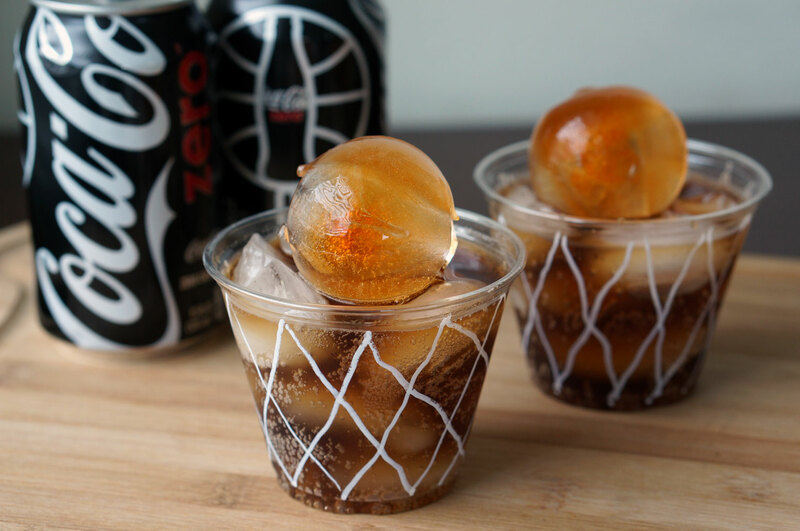 Fill your cup with regular ice and pour in your Coke Zero. Then place your “basketball” on top! If you put enough ice in your drink it even makes the basketball stick out the top. These basketball nets were such a hit, and they were so easy to make! Because the sphere ice take longer to melt than normal ice, it stays in the drink for about 30 minutes. 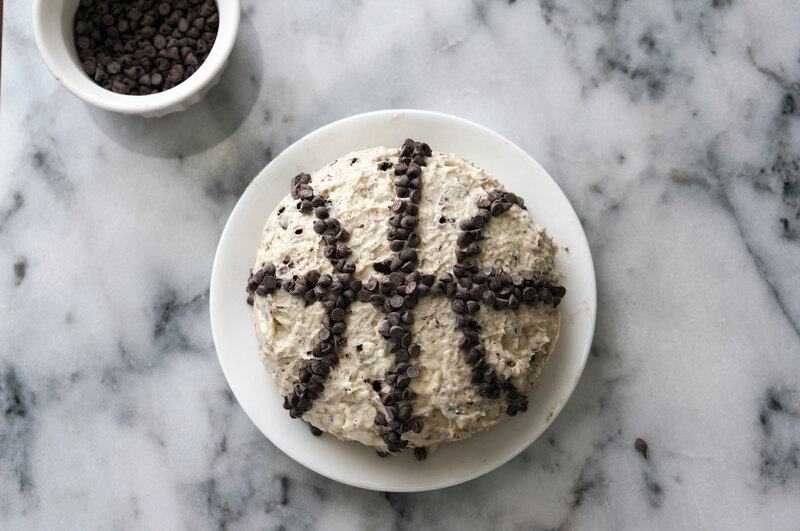 Now time for a fun, basketball-themed, sweet treat! 1. 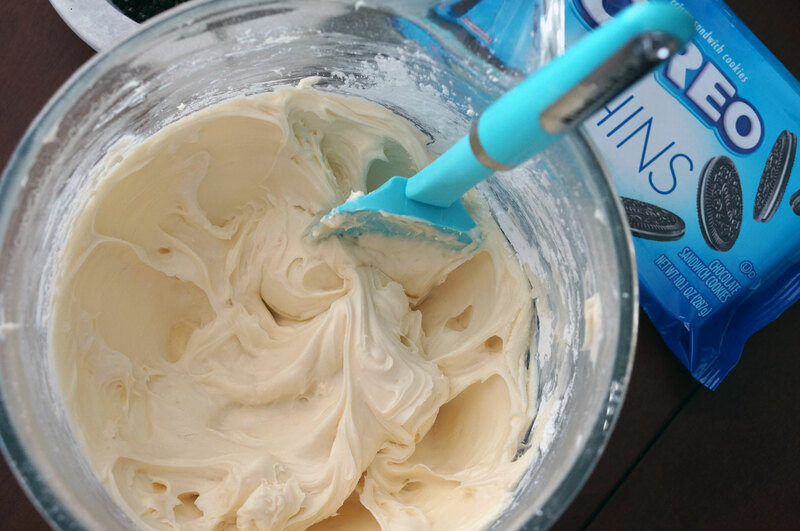 With a hand mixer or standing mixer, blend cream cheese and butter until smooth. Then slowly add in powdered sugar and vanilla extract and blend again. 2. 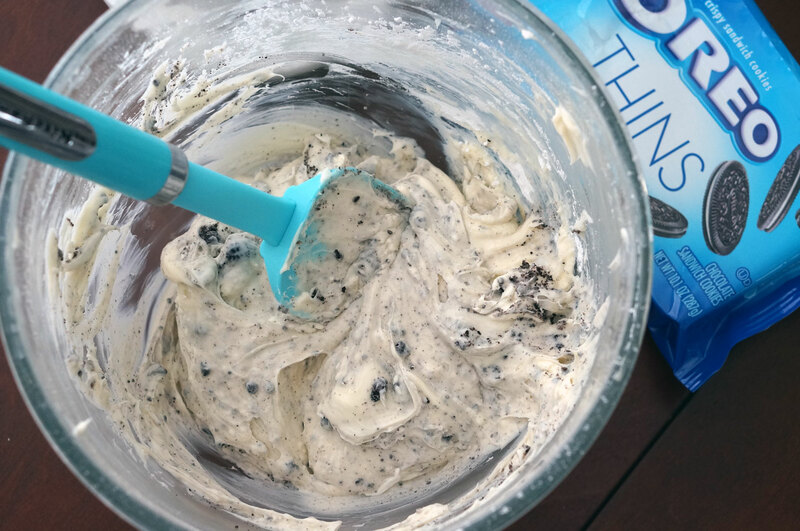 Once smooth, add in 1/2 cup of crushed OREOs. 3. Place your mixture on a sheet of plastic wrap and do your best to form it into a ball. 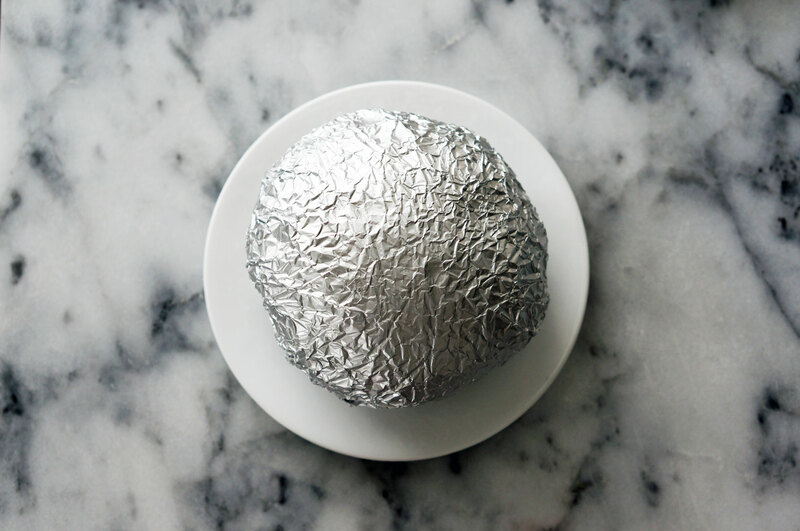 Wrap it with 1 more layer of plastic wrap and then a layer of tin foil (this will help it create the proper shape). Place in freezer for 2-3 hours. 4. 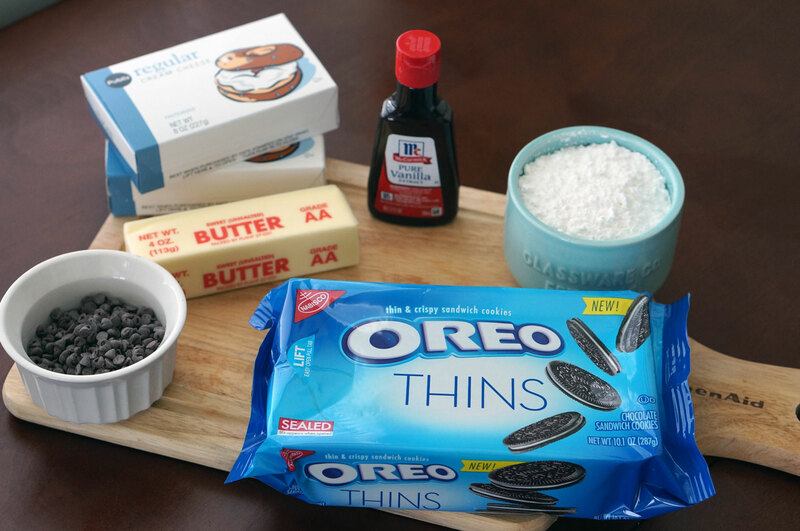 Remove wrap and place your delicious OREO dip onto a plate. 5. 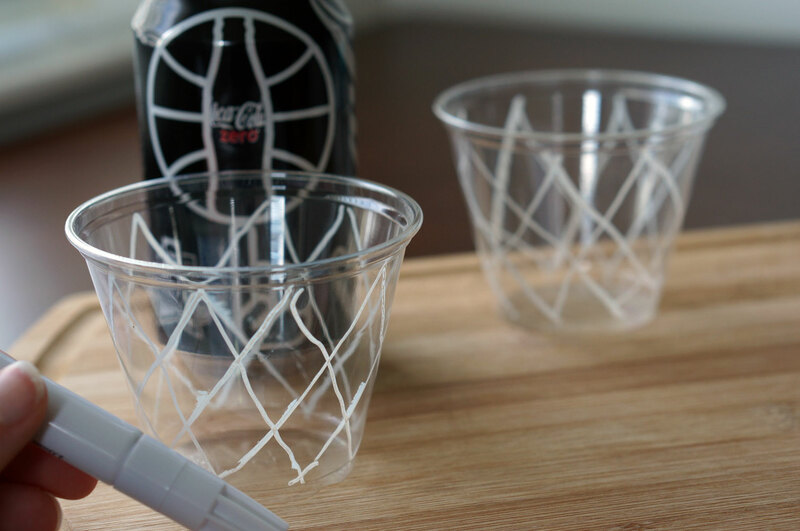 Use the mini chocolate chips to create the basketball lines. 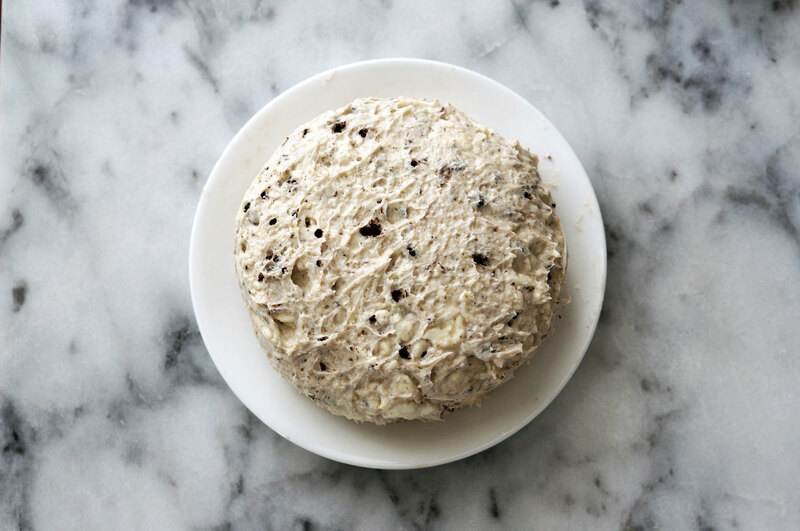 Then, place your OREO Thins around your cookies and cream cheesecake ball, and serve! 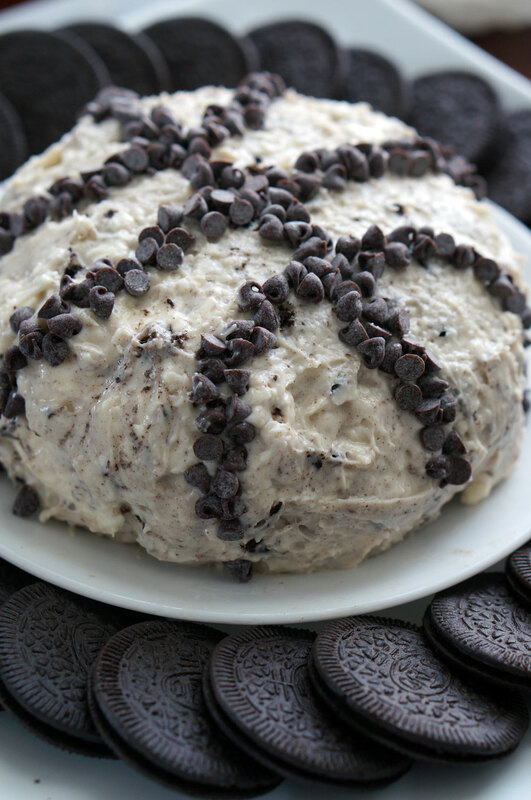 Be careful, because this is dangerously delicious! 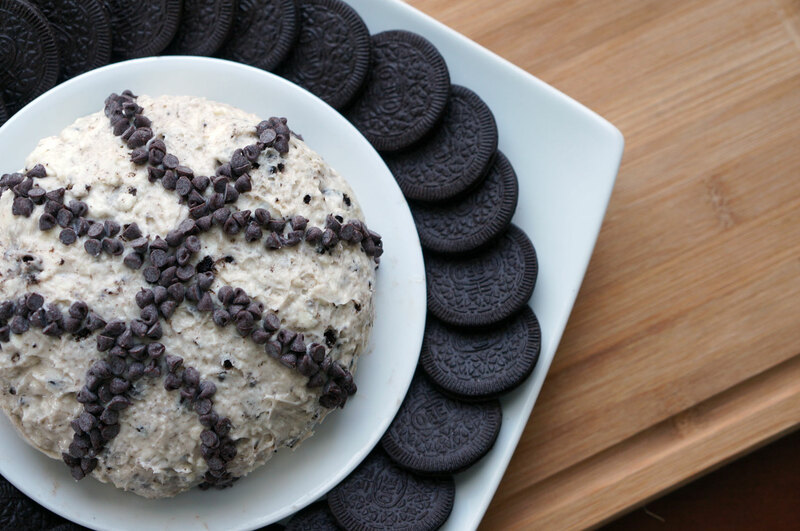 It is the perfect basketball themed snack, and it will be sure to wow your friends. 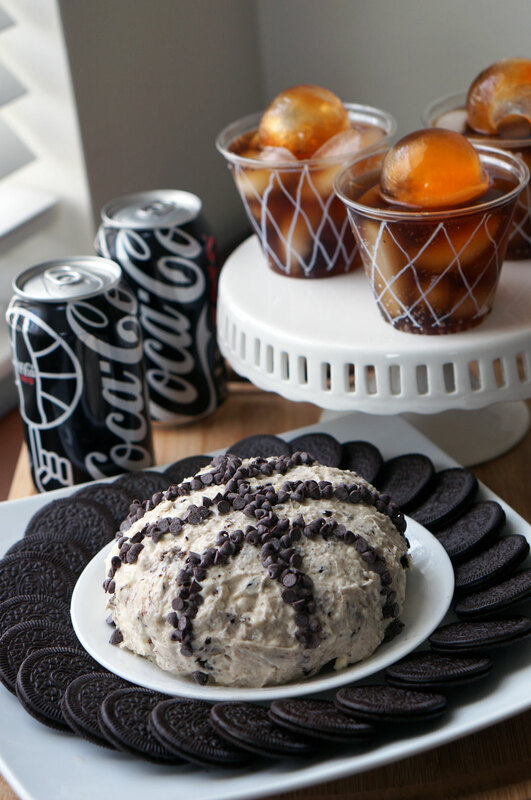 If you want to get fancy, serve your basketball net drinks and cheesecake basketball together. Hope you have a wonderful time watching your basketball team, and if you try these out, be sure to let me know what your friends think! 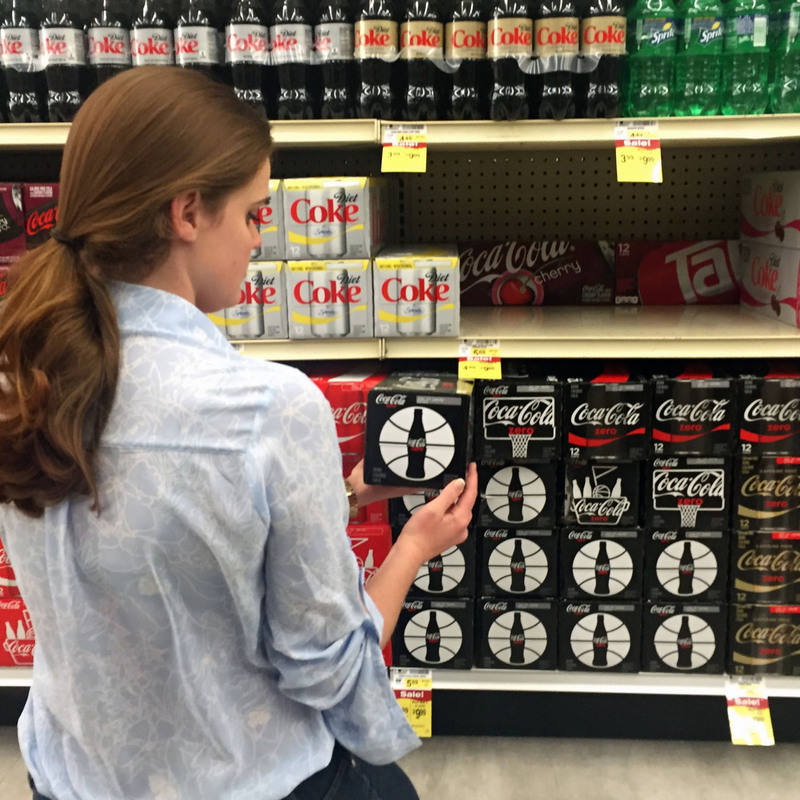 Visit cokeplaytowin.com/tastethemadness for a chance to win NCAA prizes. 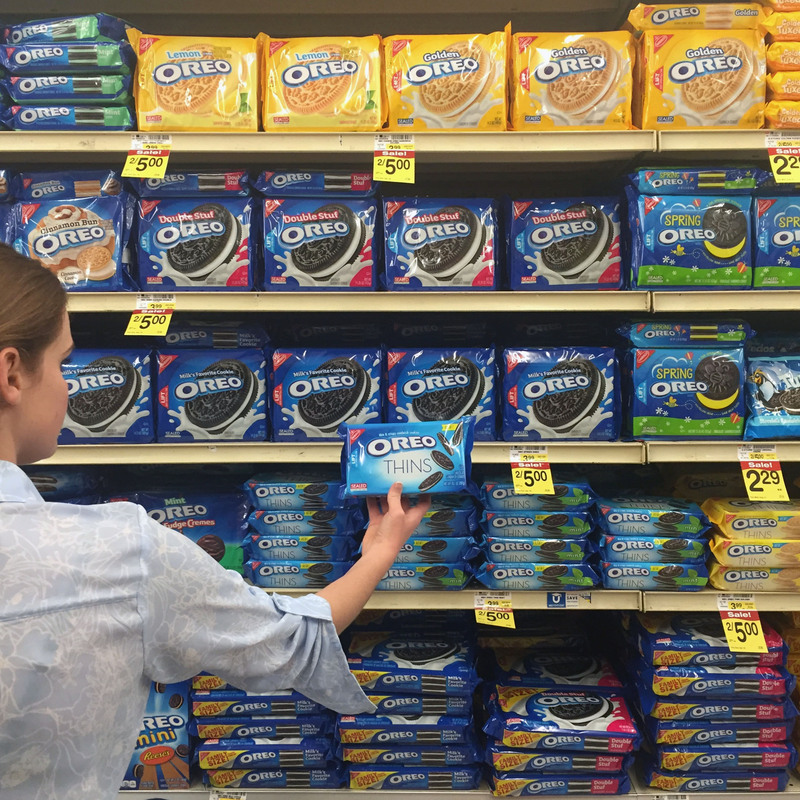 Mondelēz International and Coca-Cola are Corporate Champion and Partners of the NCAA. NCAA and Taste the Madness are trademarks of the National Collegiate Athletic Association. © Mondelēz International group © Coca-Cola Zero is a registered trademark of the Coca-Cola Company.